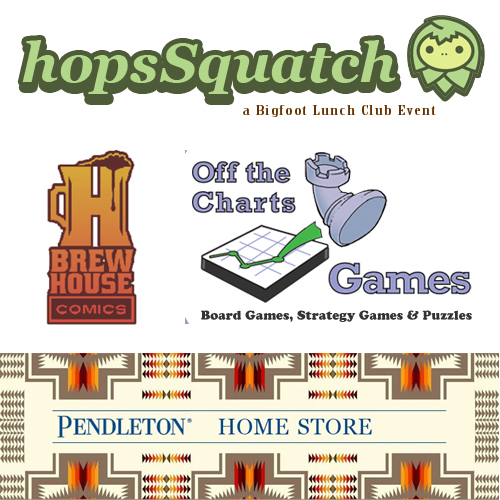 HopsSquatch | Bigfoot and Beer Speaker Series: Thank You HopsSquatch Sponsors!! Pendleton is an american classic brand. The blankets are instantly recognizable and seen in the photos of most of your Bigfoot books. Flip to the page that portrays Tsonoqua and you will see a Native American blanketed in a Pendleton. In one Chris Murphy's book you can see one draped in a Glacier Park blanket. We will have some Glacier Park-themed items for raffle at HopsSquatch. When you are in Portland, Oregon make sure you visit 210 NW Broadway.